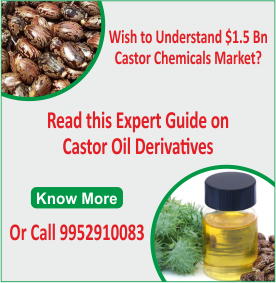 While castor oil is unlikely to be a significant contributor to the biodiesel industry in the next 3-5 years owing to its high cost and low production volumes, in specific cases and regions it could play a limited role as a biodiesel feedstock. 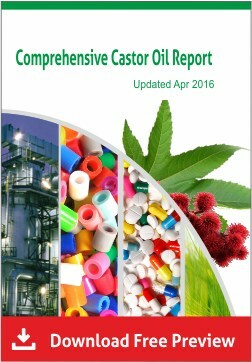 This blog summarizes some of the initiatives that are being taken in order to explore the viability of castor oil as a biodiesel feedstock. Reduces net GHG emissions by 90% in the U.S. and more than 75% in Brazil compared with conventional diesel, if grown in non-arable or marginal land. Exceeds the GHG savings achieved with soybean biodiesel, with reductions for the U.S. of 43% compared to soybean. The Petroleum Corporation of Jamaica ( www.pcj.com) along with the Caribbean Agricultural Research and Development Institute (CARDI, www.cardi.org ) launched a pilot project in 2011 to trial biodiesel production from castor oil and Jatropha. The research and development phase of the project will involve the cultivation and harvesting of six varieties of the oil nuts, to determine their oil content, harvesting potential and relative productivity. The oil nuts will be cultivated on mined-out bauxite lands between April, 2011 and March, 2014. In 2012, Rokim Group Limited (www.rokimgroup.co.ke) based in Kenya, started growing hybrid castor beans for the production of high grade bio diesel for the utilization in road transport, power generation and industrial sector in Kenya. In Nov 2012, Mexican researchers at the University of Puebla (BUAP) have begun experimenting with biodiesel production from castor oil, fuel that will later be used to run the university’s transport system. The pilot plant under development will produce up to 72,000 liters of biodiesel daily. 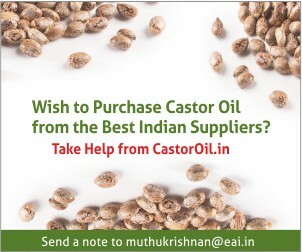 In India, the Center for Jatropha Promotion, CJP (www.jatrophaworld.org) is researching farming castor in conjunction with the Pongamia Pinnata and Indian Mustard. Israeli NGO, KerenHayesod – United Israel Appeal (www.kh-uia.org.il ) along with the National government has set up castor bean enhancement program which involves crop improvement in castor to achieve better yields of seed and oil for its subsequent use as a feedstock in industrial production of biodiesel. It will be carried by six senior scientists, specialized six different principles of agriculture including biotechnology and the project cost is estimated to be US$ 300,000. Three Israeli companies – alternative energy company Ormat (www.ormat.com), plant breeding company Evogene (www.evogene.com), and the real estate developer the Lev Leviev Group (www.thelevievgroup.com) signed an agreement, in 2008, to produce biodiesel from castor oil. Leviev already owns mining concessions in Nambia, where the biofuel will be harvested, Ormat’s subsidary Orfuel has substantial experience in biofuel R&D, and Evogene is a leading company in plant genetics and breeding. Petrobras Biocombustível (www.petrobras.com.br) is producing biodiesel from castor beans. Petrobras’s fuel was obtained with a blend of 30% castor bean oil and 70% sunflower seed oil, both produced by farmers who participate in the company’s oleaginous plant supply programs. 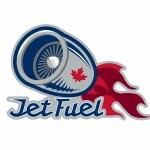 The company made its first delivery of biodiesel containing a blend of bean oil in its composition in November 2009.